Come meet us at the Seed Swap today! 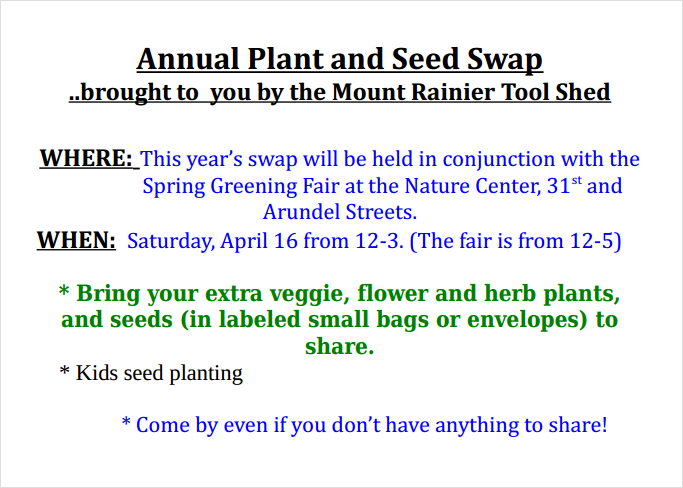 It's at the Spring Greening Fair at the Nature Center, 31st and Arundel Streets. We'll be there from 12-3pm and the fair is from 12-5pm. 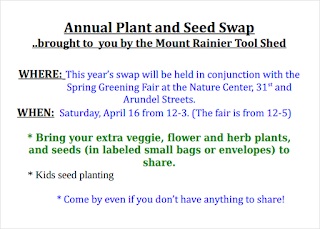 If you have extra veggie, flower or herb seeds or seedlings to share, bring 'em with you.